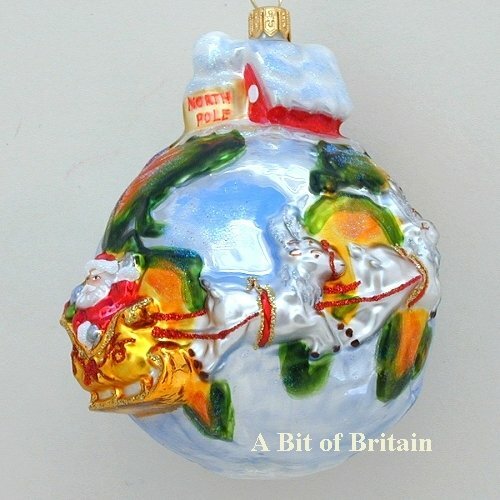 A selection of blown glass Christmas ornaments with a festive feel. 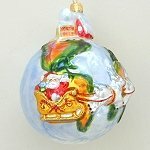 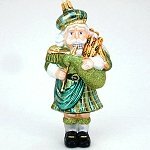 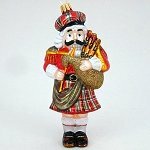 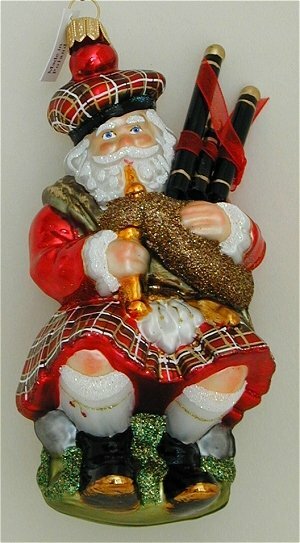 These ornaments are all hand blown and painted in Europe unless otherwise noted. European folklore considers mistletoe a sacred plant that holds magical powers. 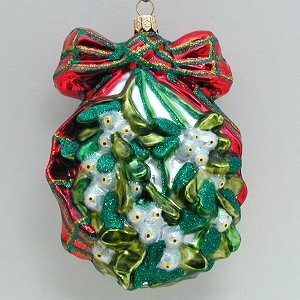 The most well known tradition, kissing under the mistletoe, is based upon a belief that those standing beneath it will be protected from harm and will only receive tokens of affection. 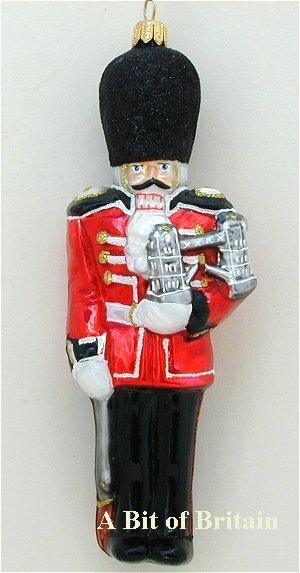 This mistletoe tradition is commonly seen during the holiday season. 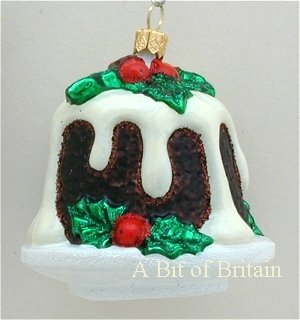 You don't have to be Bob Cratchet to enjoy a Christmas Pudding but to most people outside the UK the only glimpse they get of these wonderful creations is when his wife cooks one for Christmas dinner. 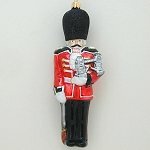 As a British retailer I have had more than a taste of the modern version and they are a rich addition to the holidays. Our blown glass ornament Christmas pudding allows you the the visual joy without any calories. 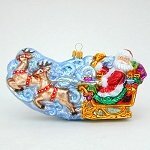 A very active ornament of Santas sleigh flying through the air. 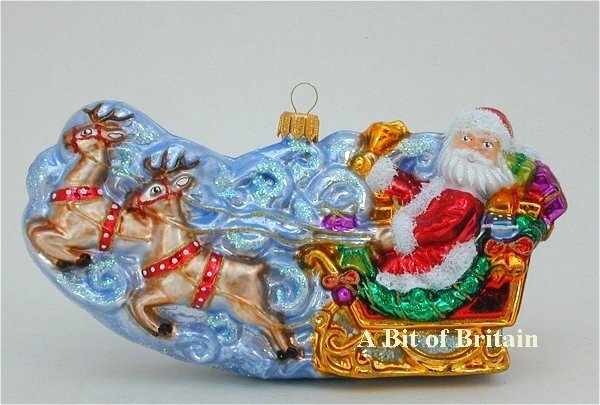 Santa and his loaded sleigh are off for his Christmas deliveries in this beautifully designed ornament. 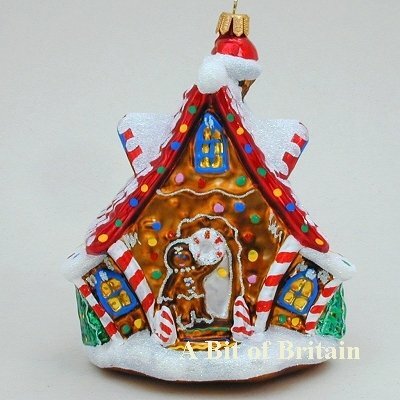 The figures are raised from the surface of the earth giving a very nice effect. 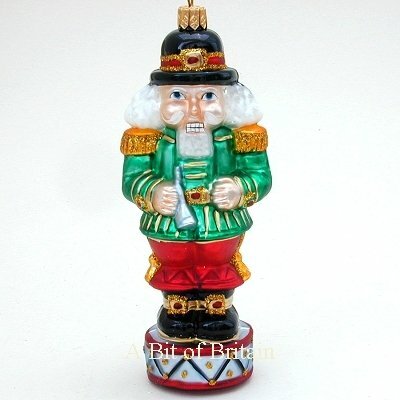 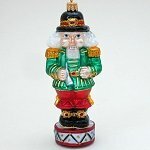 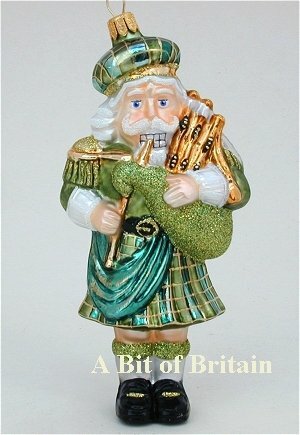 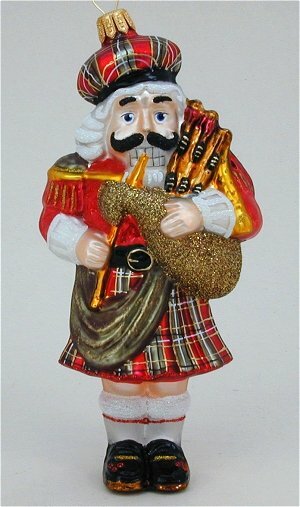 A bright and festive nutcracker smartly dressed in a green jacket with gold epaulettes standing on a toy drum. He makes a bold statement wherever he hangs. 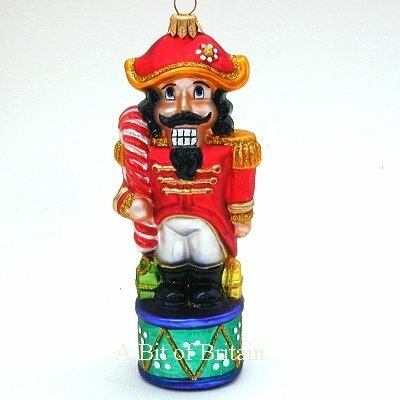 A red nutcracker Christmas ornament with a candycane.